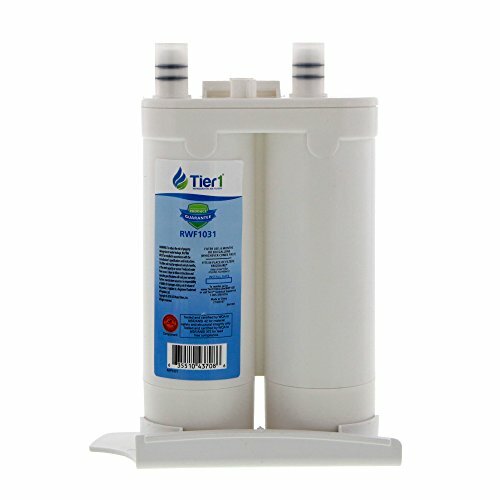 The RWF1031 by Tier1 is compatible with both the WF2CB refrigerator water filter. The easy-to-use filter is received with two detachable bottom plates to use depending on your refrigerator model. The plates easily slide on and off the bottom of the filter before installation. It reduces chlorine taste, odor, sediment, turbidity and more! For up to six months after installation, the RWF1031 by Tier1 keeps your water and ice tasting clean and fresh. It installs quickly and easily, so you'll be drinking the cleanest, freshest water in no time at all!